Steve Jobs was born in 1955, San Francisco. Syrian immigrant John Jandali and Joanne Schieble Simpson were his biological parents. When they were university students, Steve was born to his unmarried parents. They refused to give Steve recognition. The couple left him for adoption. Later Paul Jobs and Clara Jobs adopted baby Steve. Until his death, Steve Jobs always mentioned Paul and Clara as his real parents. 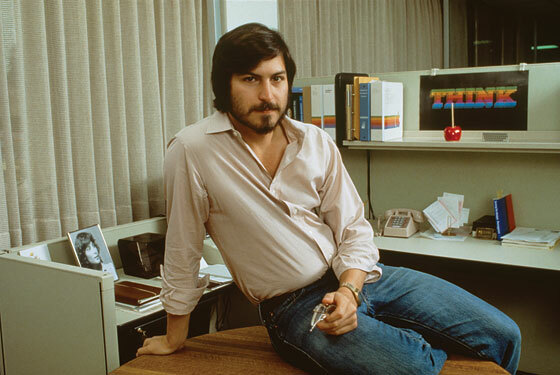 Steve’s interest on electronics emerged from his father Paul Jobs. He used to encourage Steve to experiment with various mechanical devices from his early childhood. This in later life, influenced him to become enthusiast for searching and inventing new technologies. Formal educational life of Steve Jobs was started in a local school of California. After completing, he admitted in Reed College. Excellent results and hunger for knowing made him an exceptional student there. Sometimes even professors had to give up in front of Steve’s curiosity. While studying in Reed, he once enrolled in a calligraphy course. He was mesmerized by this. He later commented in an interview, this course had influence in launching different typefaces and space fonts in various Apple devices. In 1974 along with Daniel Kottke, Steve Job went to India for spiritual enlightenment. He visited Hindu guru Neem Karoli Baba’s ashram. He came to know thoroughly about Buddhism and other eastern religious faiths. Steve once said, the knowledge about the different cultures helped him to think in broader perspectives in his future business life. Steve started concentrating in his career in early 70’s. Joined in Atari Computers. There in 1971, he met Steve Wozniak. Steve Jobs made a good bonding with this genius computer technician. In 1976, Steve Jobs, Steve Wozniak and Ronald Wayne launched a company, today’s world famous ‘Apple Computers’. Interesting to know, the first showroom of Apple was the garage of Jobs family. Within few years, the sales of Apple products became skyhigh. Increasing worldwide demand of home computers and high quality of Apple mechanism were the key secrets of it’s grand success. 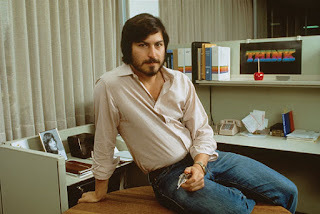 Steve set his next milestone in 1984, inventing first Macintosh Computer. It was the first home computer using Graphical User Interface. This concept later became the base of all modern computers, laptops, tablets. Despite getting success in massive scale, internal rift inside Apple was expanding. Due to disagreements upon various issues, Steve’s managerial responsibilities were taken away from him in 1985. As a result, Steve resigned. He later said, resigning from Apple made him liberated, more focused and motivated. He found new inspirations for new inventions. Soon after leaving Apple, he started his new company ‘NeXT Computers’. Unfortunately, it failed even to remain in the competition. Despite various initiatives Steve took, it was drowning. In 1996, Apple bought NeXT Computers for $429 million. Meanwhile, Steve in-between became engaged in another project, Pixar American Studio, a computer graphics film production company. It gained huge fame after making hit animation films like ‘Toy Story’, ‘A Bug’s Life’ and ‘Finding Nemo’ jointly with Disney. Steve regained his reputation again. In 1996, Steve rejoined Apple Computers. That time Apple was facing a tough competition with rivals like Microsoft. To get it’s previous glory back, Steve was appointed as Chief Executive. After getting back on track, Steve showed unprecedented strictness. Immediately stopped some of the running projects, started some new and fresh. He concentrated on devices with portability and attractive designs. iPod was one of them. It brought a revolution in portable musical device history. Within 2008, with 6 billion songs downloaded and 200 million iPod sold, iTunes got the second place in United States list of best music retailers. Apple started it’s journey in mobile phone market by iPhone in 2007. It’s magnificent features and internal operating system soon made it as one of the most popular and demanding electronic device in the world. With all these initiatives taken by Steve Jobs, Apple again became a tech giant within few years. In many criteria, including share capitalization, it has overcome all other big companies including Microsoft. Steve became one of the richest person in the world. As Apple CEO, he owned $1 million and by shares of Apple & Disney, he became owner of total $8.3 billion. In personal life, Steve was father of three children. His wife Laurance Powell is an education and immigration reform worker. Steve Jobs, one of the greatest tech genius of all time, died on 5 October 2011 in Palo Atto, California.